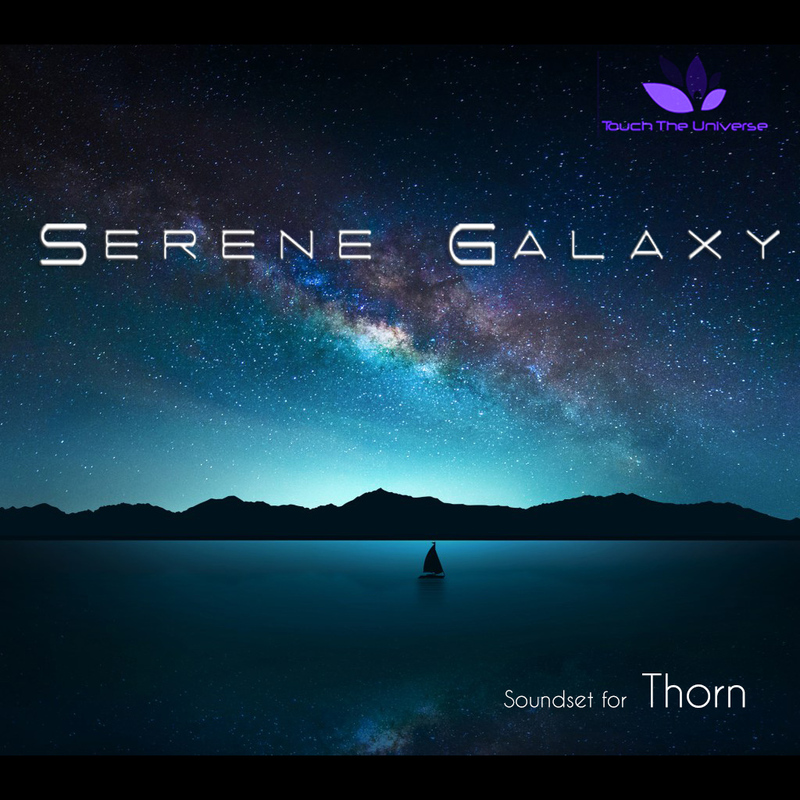 The Serene Galaxy Soundset contains 150 high quality presets for the beautiful Thorn synthesizer from Dmitry Sches and is suitable for any contemporary electronic and ambient music genres. We just can't enough of Thorn so we are back again with Serene Galaxy, our second soundset release for Thorn, which has been lovingly crafted since Thorn's inception, nearly half a year ago. It includes a well balanced assortment of presets spread out a diverse category of patches, including arps, basses, leads, pads, plucks, keys, drums, and sequences. It also contains an additional 150MB of original noise samples and attacks embedded within the presets. Includes over 150Mb of Noise Samples and Attacks embedded in the presets. Patches created in the latest 1.06 version of Thorn.